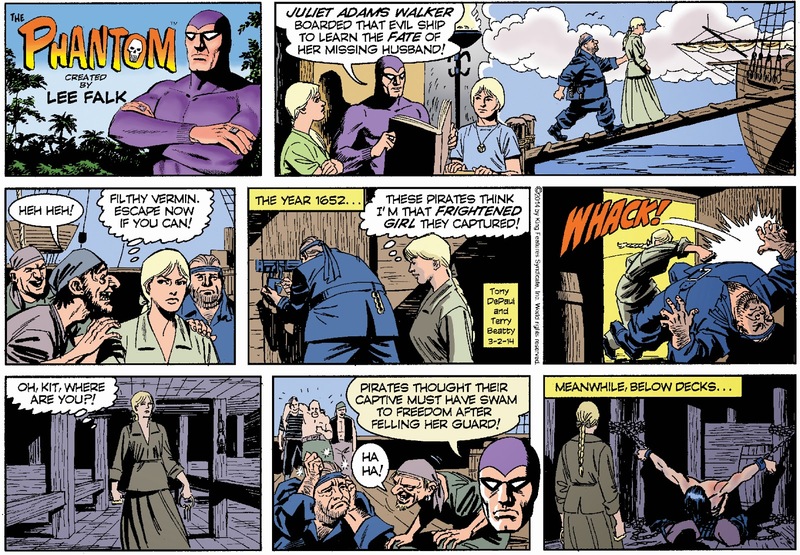 Another double dose of Sunday strips -- Rex Morgan and The Phantom for March 2, 2014. 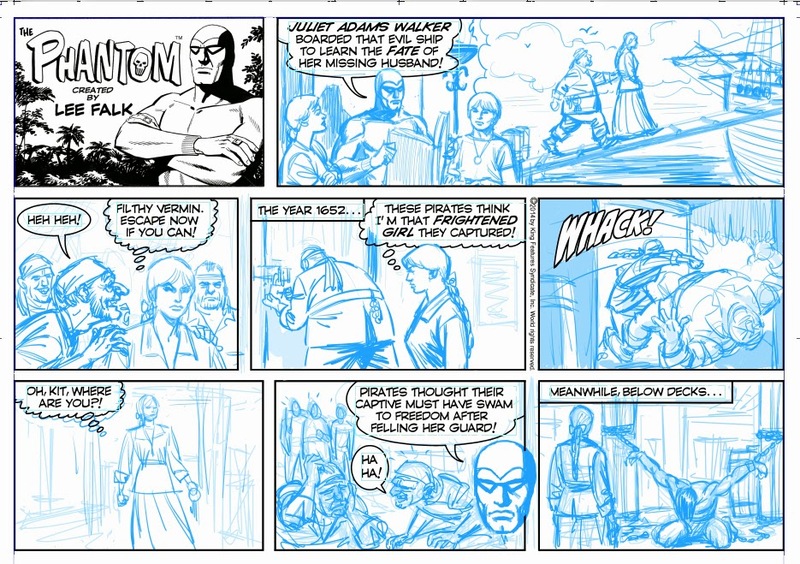 As an extra, you get a screen shot of my almost-finished digital "pencils" for The Phantom. I enjoyed drawing the grizzly old pirates and the big punch in panel five. 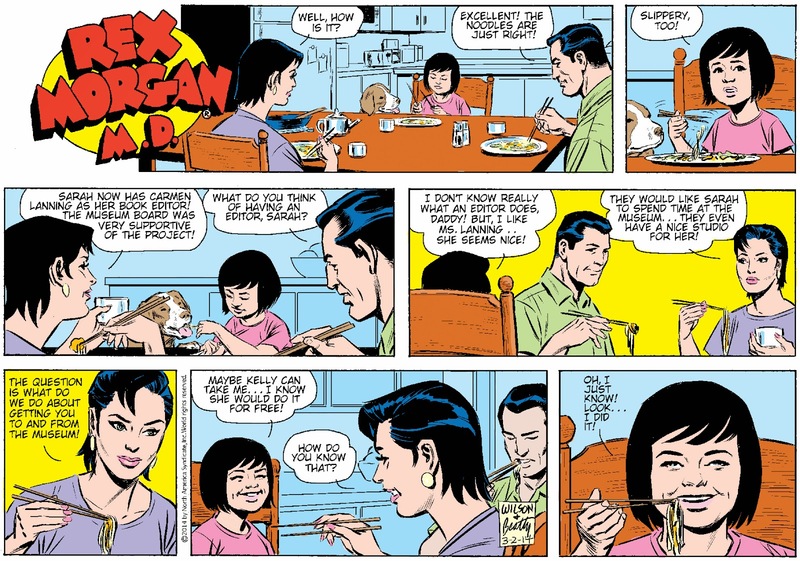 As for this week's Rex Sunday, drawing hands holding chopsticks is a bit of a challenge…. Does Juliet has somthing in her hand at pannel 5? Yes -- a little hard to see at this size -- but it's the brass knuckles that are hanging off the hefty pirates belt (and that she's eyeing) in the previous panel. She's swiped them in-between. Later, she's holding his ring of keys. And darn it, I drew her arm too long in one panel -- wish I'd caught that….